Arthur Charles Wellesley, 5th Duke of Wellington, was a member of several right-wing, anti-Semitic groups during the 1930s. 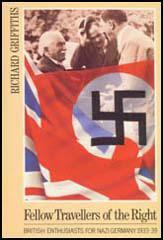 This included the Anglo-German Fellowship and the Liberty Restoration League. He was also chairman of the Patriotic Societies. Members of the Right Club included the Duke of Wellington, William Joyce, Anna Wolkoff, Joan Miller, A. K. Chesterton, Francis Yeats-Brown, Lord Redesdale, 5th Duke of Wellington, Duke of Westminster, E. H. Cole, John Stourton, Thomas Hunter, Aubrey Lees, Ernest Bennett, Charles Kerr, Samuel Chapman, John MacKie, James Edmondson, Mavis Tate, Marquess of Graham, Margaret Bothamley, Earl of Galloway, H. T. Mills, Richard Findlay and Serrocold Skeels.